Well, for a minute there I didn’t think this was going to happen, but it is, it’s here! Welcome back December Reflections, 2015! This project has no real rules – the idea is to simply take a photograph every day(ish) for the whole of December. That’s it. Pause, look around you and shoot what you see. Reflect on how the year’s gone down. Enjoy a bit of mindful creativity in the run up to the new year. You can use any camera. You could shoot every day or every other day or just on weekends. You can share your photos or just enjoy taking them without sharing. You can follow along with the prompts or just do your own thing. You can join in at any time. 3. Add your blog to our blog roll (over HERE) so we can all find new blogs to read! I haven’t created a Facebook group for DR simply because there will be one for Find Your Word (more on that very soon!) so let’s just enjoy taking our photos and hang out on Instagram and Flickr, yeah? Let’s keep it simple. I love these opportunities to look anew, & December can be overwhelming for several reasons, so thank you!! Wonderful! I enjoyed the August break so much and DR will be awesome! Thank you! That sounds such fun, I am hoping it will get me learning to use Instagram better!! I feel blessed to be a part of this community. Much love and thanks. wonderful idea! So looking forward to it. Alas! Only Facebook works for me, but I will do my best to follow the prompts! 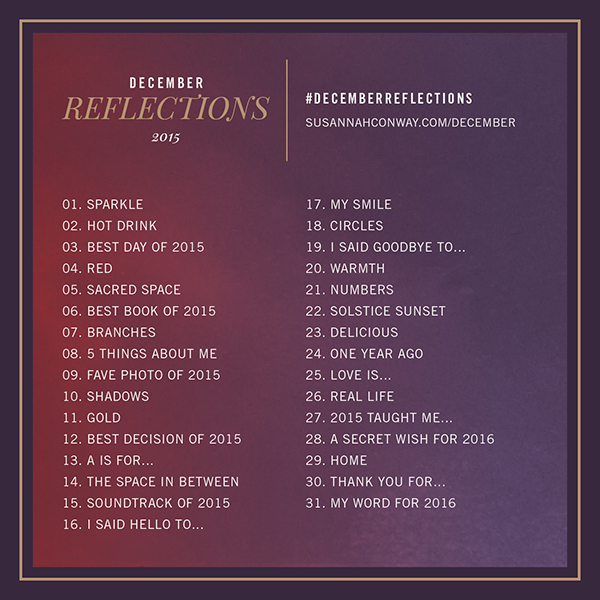 Happy December – Happy reflecting everyone! Thank you, Susannah. I´m in!! Thank you, again. 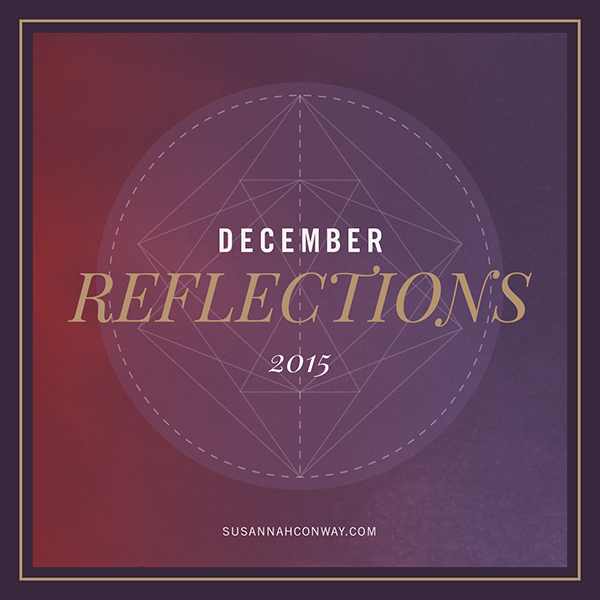 Love your December Reflection prompts and the simplicity of it! I’ll be doing this like our last Unravelling eCourse – some photos and some journaling. Thank you so much! Wonderful way to end the year! Had a great time with April Love and August Break. Thanks! Thank you Susannah. Loving the idea of having a daily creativity prompt thru December. I am in for #decemberreflections. I will share photos to my Instagram feed (instagram/soulfilledlife) and look forward to seeing what others post. Happy shooting and reflecting everyone. So im excited! I have only just stumbled across you and your delicious site and to be honest ive only looked at the unravelling the year stuff and December reflections and already im a fan!! Then I read you plan to begin a page for “Find your word” omgosh how exciting! My word last year was Shine and it fitted I think rather well..
2016… is going to be better than ever… << not an ad selling some crap seriously better than ever before!! How to put that in a word.. I have no idea. .. thats where you Susanna come in #winning ? ?